Hi there! So for those of you who have gotten married recently you may be asking yourself the same question I asked myself...these wedding cards are SO beautiful, but I really don't want them to just sit in a box forever, what can I do? 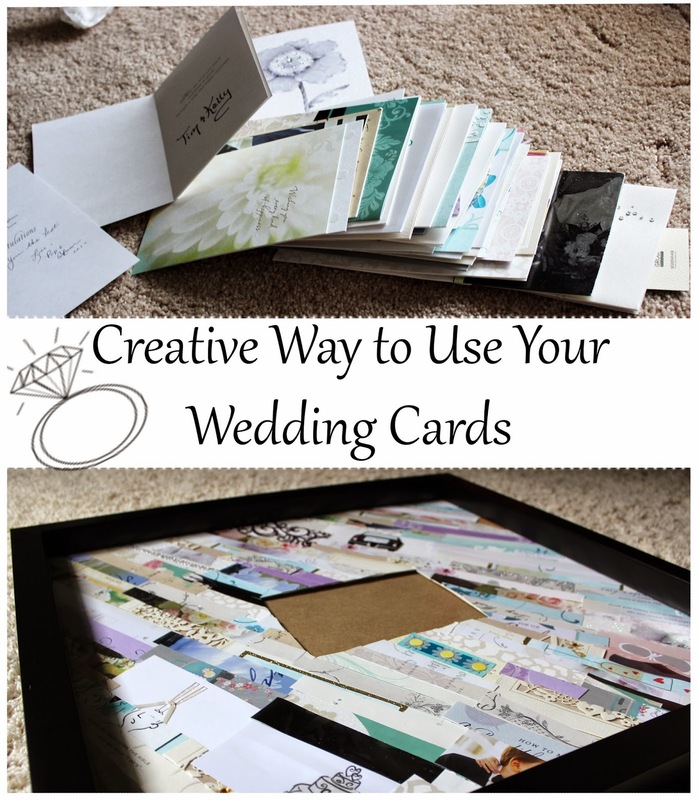 I really wanted to display my wedding cards somehow and I couldn't find a creative solution that I loved online. 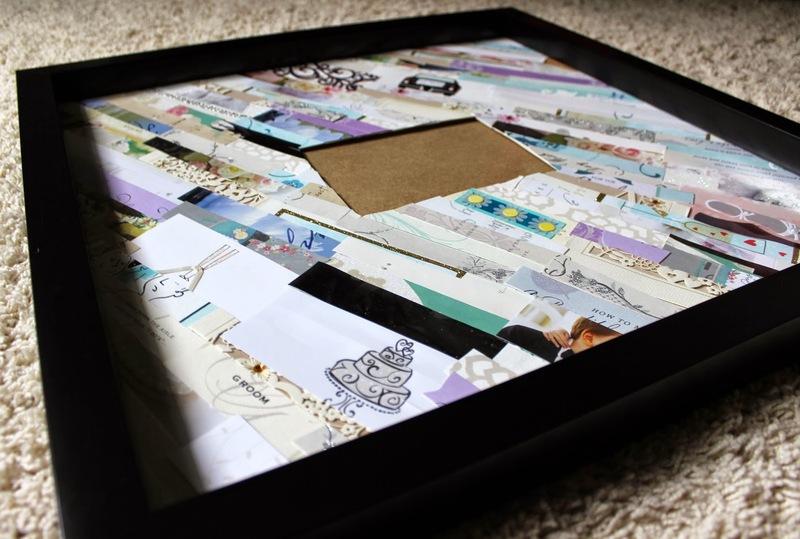 So, I meshed a few different ideas that I saw and came up with the concept of a picture frame. 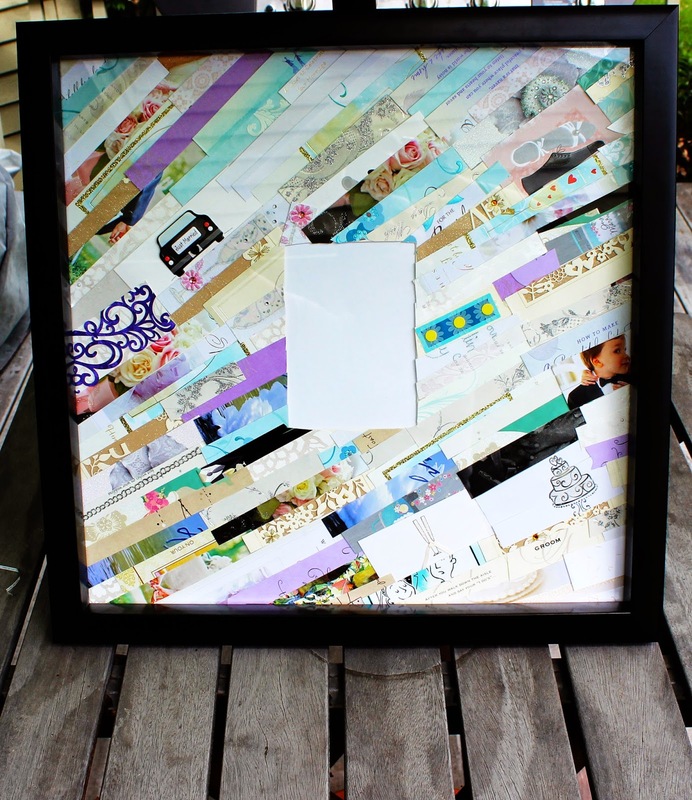 The picture frame contains a piece of each and every wedding card that I received. Worried about losing the personal messages? Fear not, we take care of that :-). Now, I am NOT a creatively inclined person by any stretch of the imagination. So, I promise, if I can make this look good, ANYONE can. The entire process takes a few hours and ideally a night for everything to dry, but it's totally worth it. Keep reading to learn how to do it! 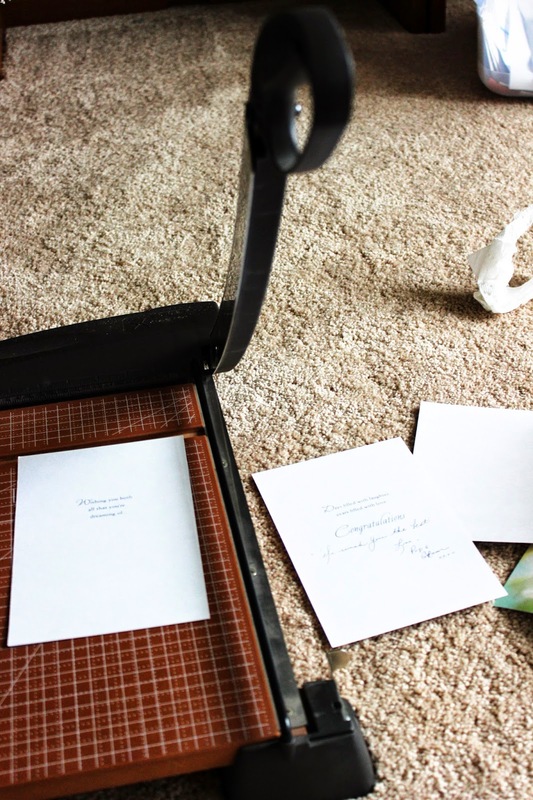 A paper-cutter works wonders for this project. I happened to be at my childhood home where my Dad has a bunch of office material, including one of these giant paper-cutters! 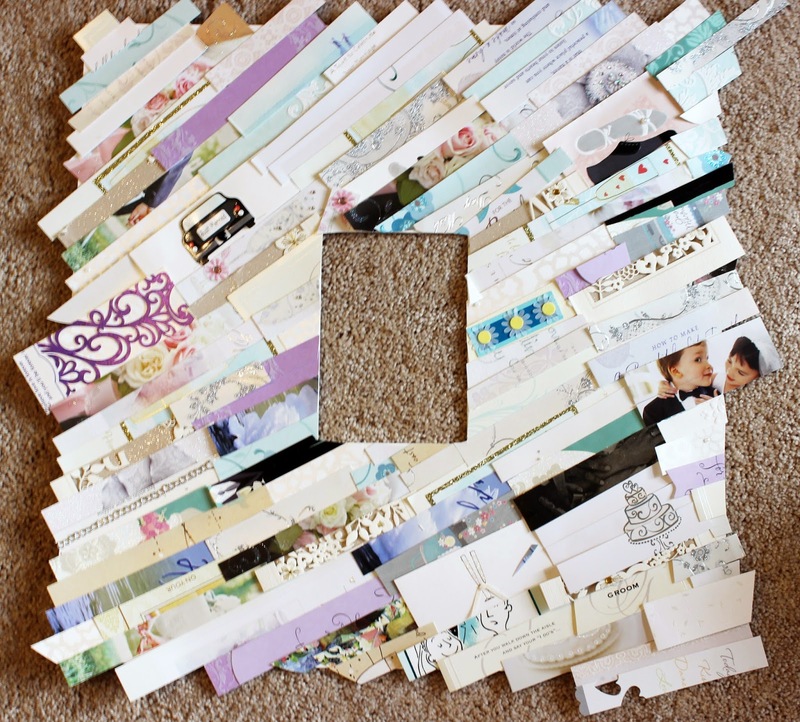 Go through each of your cards and cut down the center fold, separating the pretty front display from the area with the personal messages. When you are done splitting all of your cards, you will have two piles: one with all of the fronts and one with all of the backs. Some of your cards may have personalized messages written on the back of the decorated part, if that's the case, don't worry I will show you what to do next. 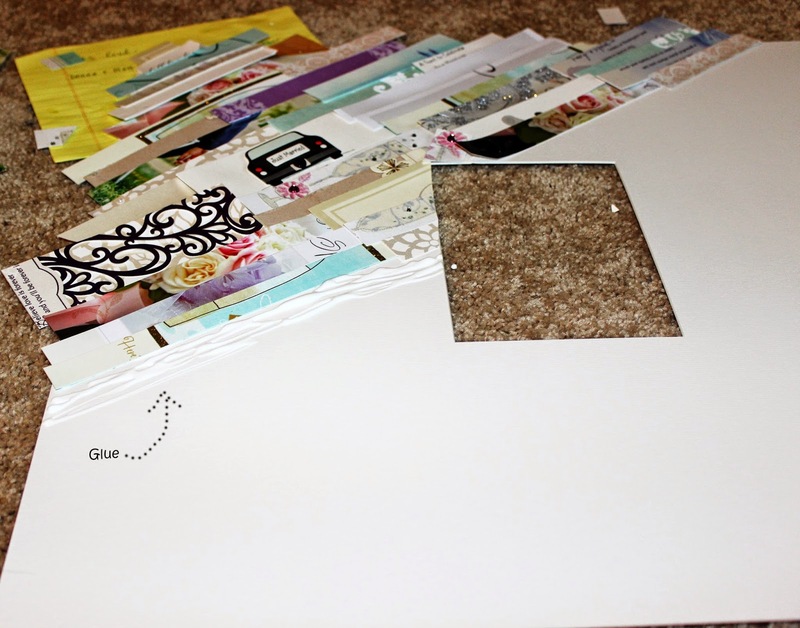 Using your paper-cutter or scissors, begin cutting the decorated pile of cards into thin ~one inch sections. I cut some cards lengthwise and some widthwise. 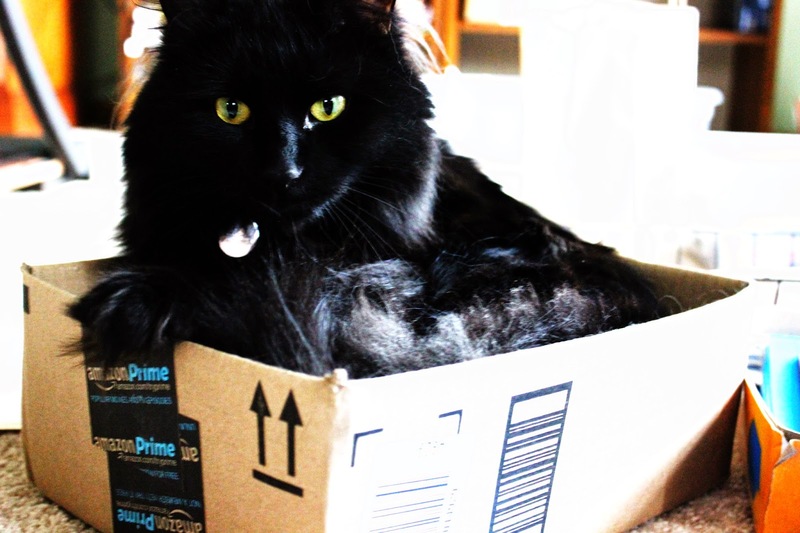 I suggest you do that same because the different sizes will come in handy. At this point, if part of the card has a personalized message, simple cut off that part and cut the rest of the card into strips. You should end up with something like what the picture above depicts. I kept my strips into rough piles so that I could make sure to utilize strips from each different one for variety. 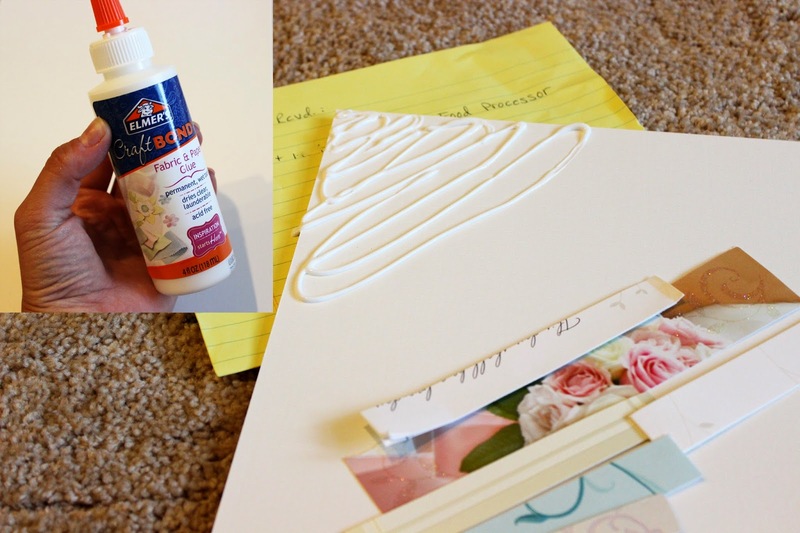 Next, take your glue and spread it over the corner section of the interior of your picture frame. 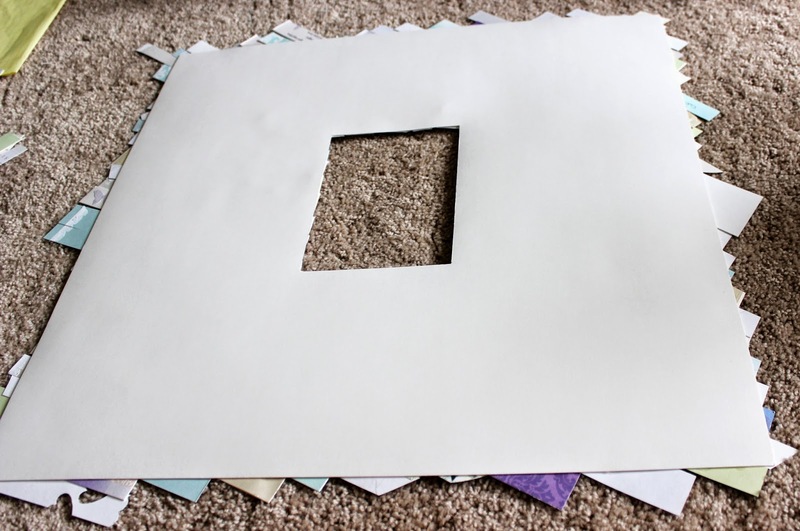 It should be a thick-ish cardboard type material with a rectangular hole in the center where you place your picture of choice. 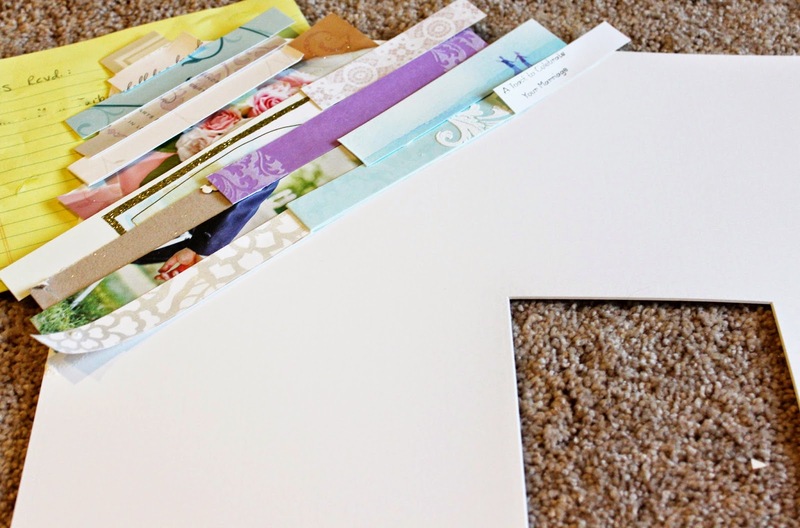 Take a variety of different strips and place them over the glue so that they overlap a bit, leaving no white space, and also creating a patchwork look. This is what it will look like to start. I did not bother cutting the ends off of the strips, it would be way more time consuming and we can do it more quickly later. As you can see, I used no pattern when choosing my strips-I wanted a very eclectic and random look, nothing too thought-out. 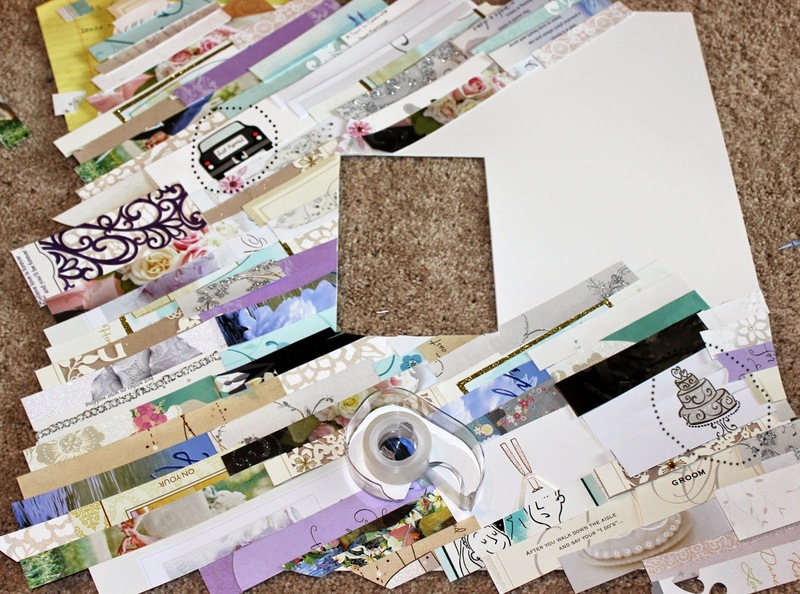 Continue this exact same process...spread out some glue and then choose several strips to lay. I did trim the strips so that they wouldn't overlap into the opening for the picture. It seemed easier just to do it then and there instead of after, but the choice is yours. Making progress! I have continued laying glue down and then placing random strips on top, all facing the same general direction. The tape roll is holding down a piece of card that was sticking up. As you may notice, I have circled two objects that stand out. I purposely laid the strips so that these images would be intact because I liked them so much- but that is entirely up to you! 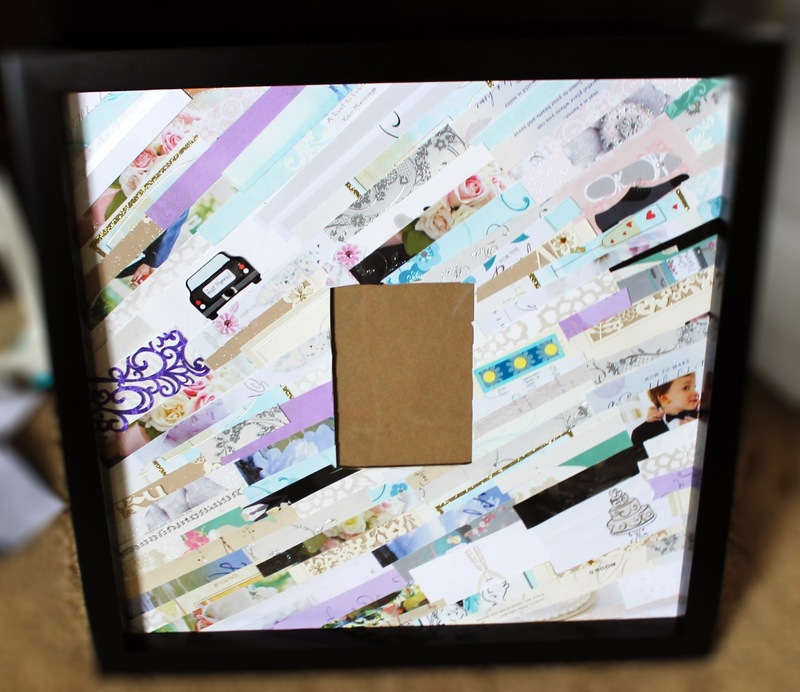 Ok, next I placed the backing to the picture frame over my creation along with a heavy box of materials. 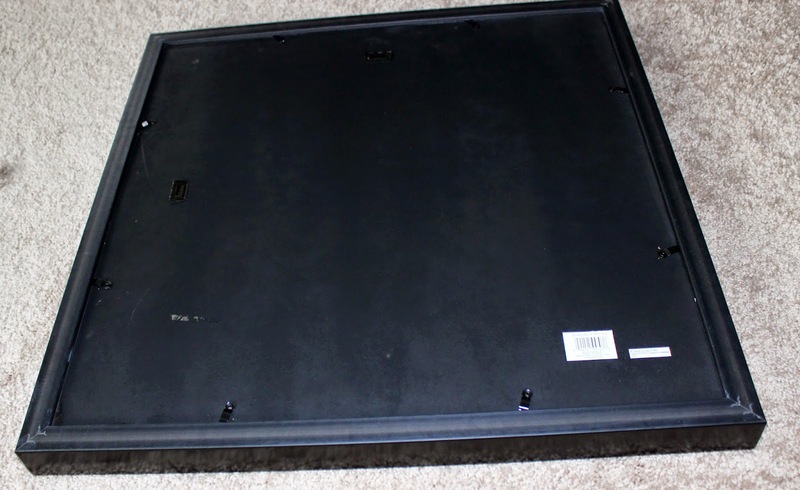 I wanted everything flattened and secure, so I left it this way overnight. In the morning, everything was STUCK and secure. 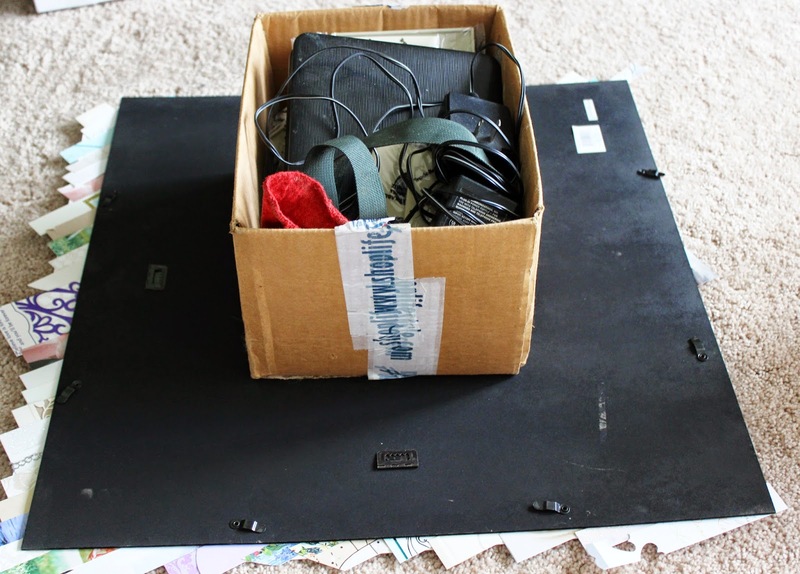 Now it's time to trim those edges, so take a pair of scissors and from the frontside or the backside, start cutting off the pieces that flow over. All trimmed up and ready for the frame! Nearing completion! 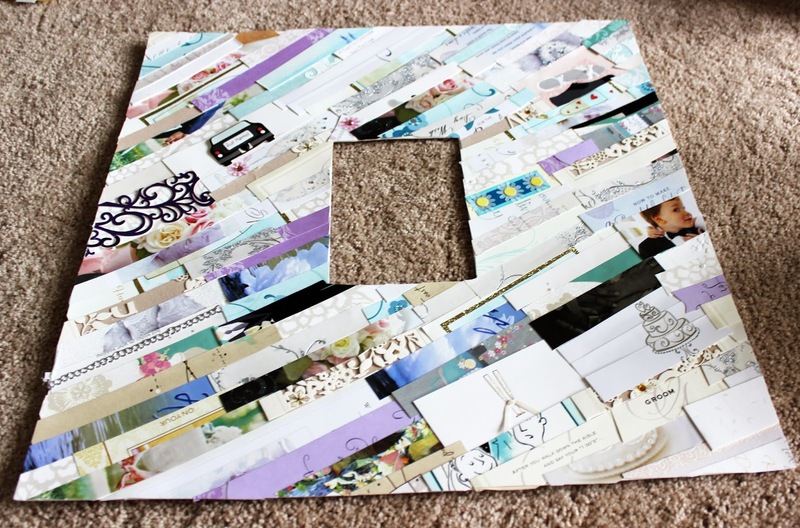 Place your decorated board into the frame. 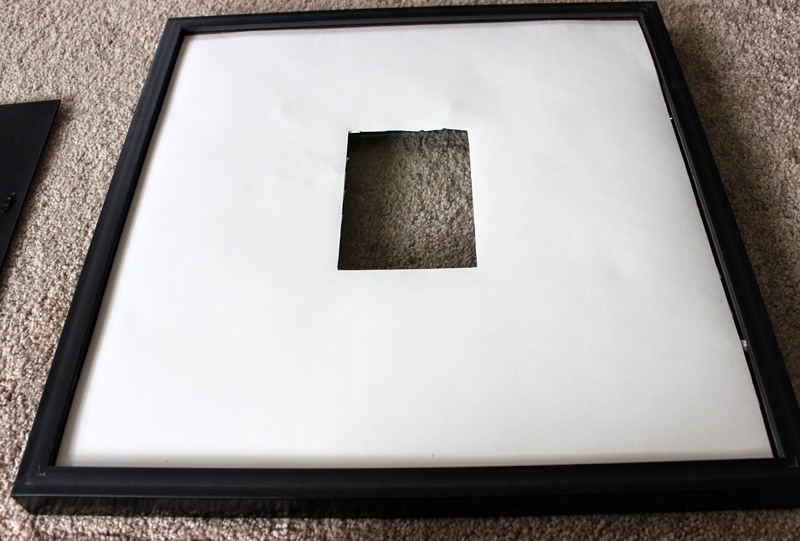 Secure the backing of the frame over your decorated piece. 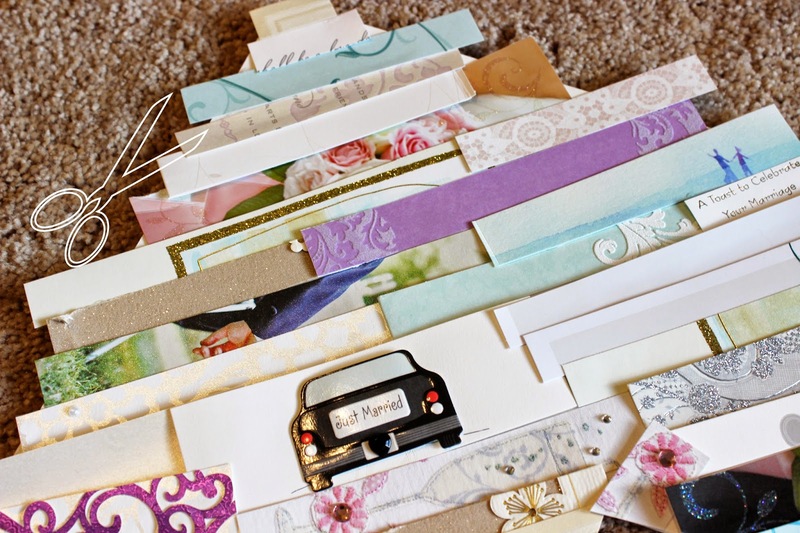 All that's left to do now is choose your favorite wedding picture and display your new frame-that has tons of personal meaning! !